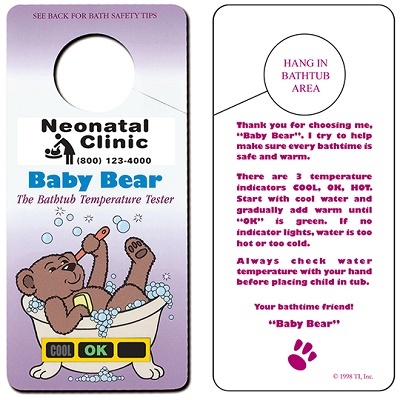 Help prevent tap water burns with our Hanging Bath Thermometers. 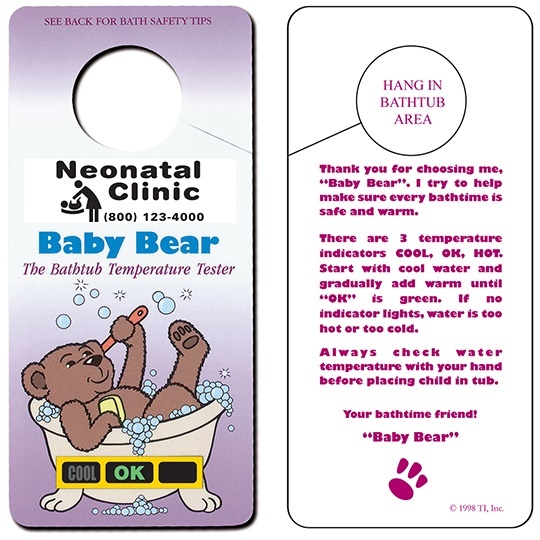 Bath card with thermometer has baby bear image. Indicates whether the bath water is either too hot or too cold. Reusable. 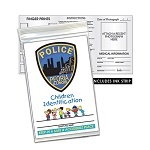 Overall Product Size: 2-7/8" W × 6-1/8" H × .015"